This entry was originally posted at http://auronlu.dreamwidth.org/216403.html, where it has comments. The temple was done so -very- well. I left a comment there - but it deserves extra praise here. 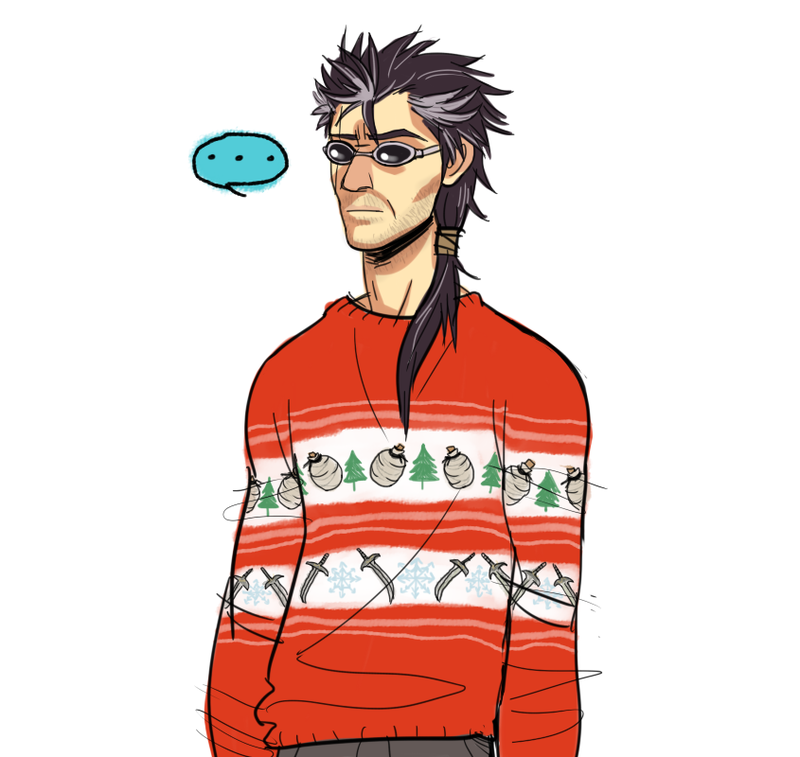 Hahahaha I saw that picture of Auron on tumblr! The best explanation I could offer was Rikku, because really who else would have knitted that monstrosity. Everyone else probably got one too . . .